In the wake of the military defeat of the Islamic State of Iraq and Syria (ISIS) in December 2017, the Republic of Iraq has been slowly recovering towards reconstruction and restoration of normalcy. At the same time, sectarian divide and ethnic tensions continue to plague the state and society. The referendum for independence in Kurdistan held on 25 September had sharpened the old fault lines between the central government in Baghdad and the Kurdish capital of Erbil spilling into confrontation between the Iraqi and Kurdish security forces. Asserting its authority and power, Baghdad moved to take control of airports and oil installations in the Kurdish autonomous region but the security situation and reconstruction efforts remain the major challenges facing Iraq. Given the situation, India’s role in the rebuilding of that country is limited and its enthusiasm for an active participation in the economic activities of Kurdistan has taken a beating. 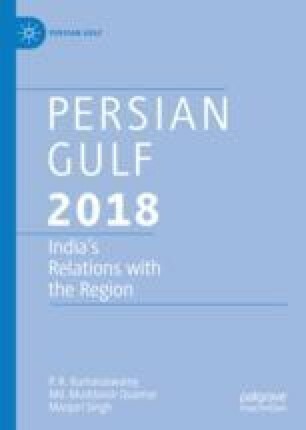 At the same time, Iraq has re-emerged as one of the largest oil suppliers of India and the political contacts between the two are growing. With the improving security situation, New Delhi could be able to play a larger role in the economic reconstruction, a pre-condition for Iraq’s political stability.